When something is so beautiful, it's hard not to want to share it! 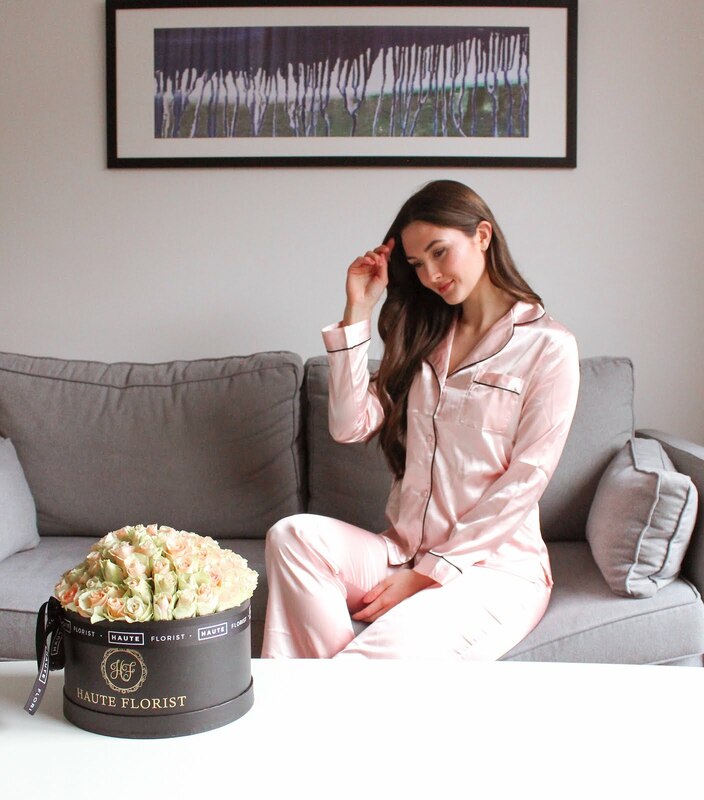 After being gifted these roses from Haute Florist, it inspired me to write a Valentine's themed blog post. 1. A bouquet of flowers. Of course, I had to begin with this one! 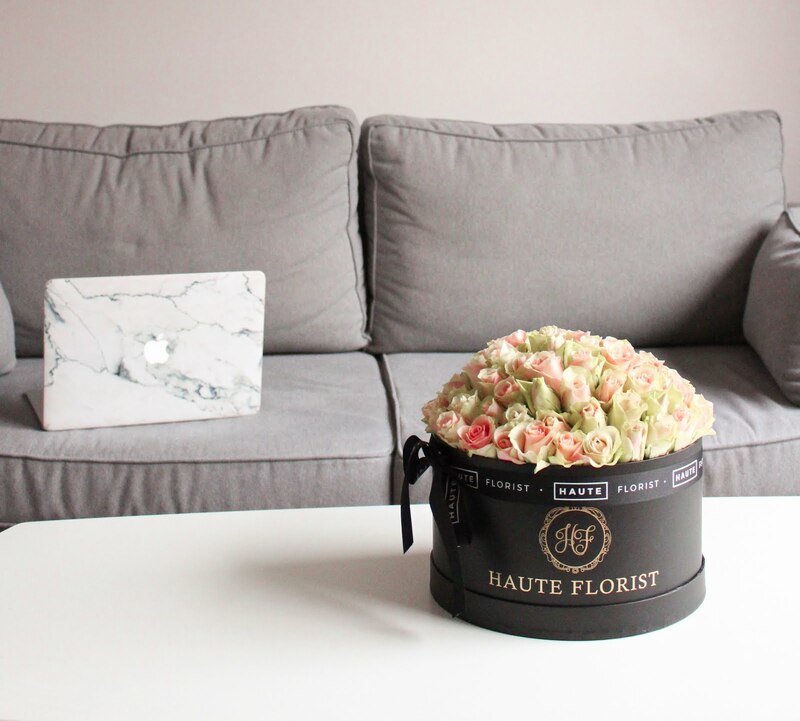 Flowers can really brighten up someone's day, and for me they are the ideal gift. As the ultimate symbol of love, giving something of such natural beauty will definitely translate your feelings and care for that special person. 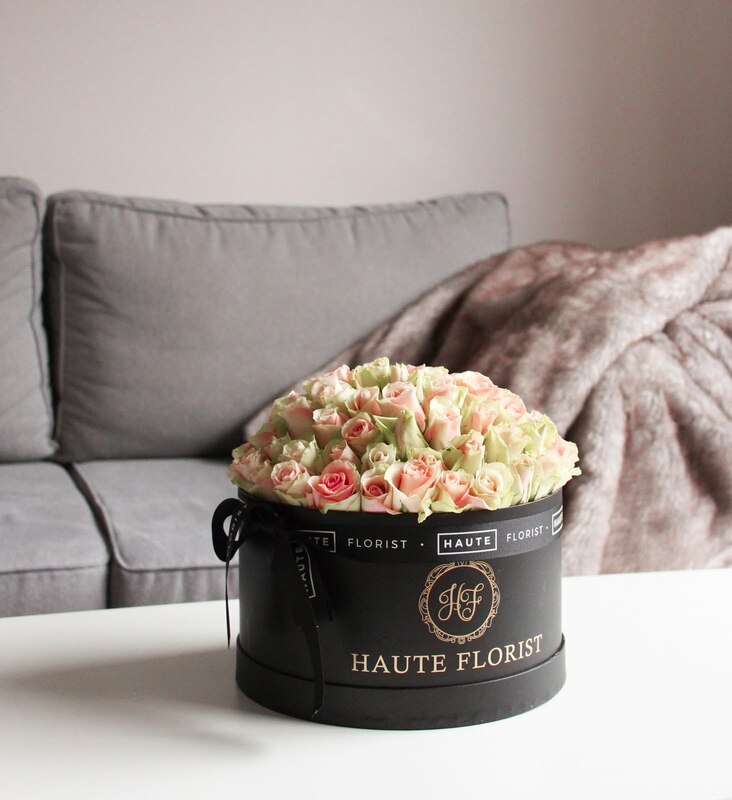 If you're inspired by the fifty five roses arranged in a ribbon tied hat box above, you can shop the same hat box here or alternatively, there are other options available on the Haute Florist website for a range of different budgets. 2. A sentimental card is always important and it is also a great way to voice your feelings, especially if you find it difficult to say it aloud. Be sure to pay attention to the design that you pick out! Get one that reminds you of her, or get creative and design one of your own with pictures of you both and your favourite memories. 3. If you want to be extra sweet, a frame of you and her would be a lovely and very thoughtful gift. Pick a picture of you both off of her Instagram/Facebook so that you know she definitely likes the image before you get it printed and framed! 4. Cook her a romantic meal. Light some candles, or add some fairy lights to add to the romance. Treat her to her favourite foods, she will appreciate the extra thought. A special date will create a memory that will last a lifetime. 5. Nothing beats a personal touch. Add a thoughtful element to your Valentine's date to show her that you listen to her. Think of her hobbies, her likes, and her obsessions, this could be as simple as playing her favourite movie after your romantic meal! Wishing you all a lovely Valentine's Day this week, but remember, the above points can be used at any time, not just when the world tells you to share your love! *AD - This post includes gifted products, and sponsored content.